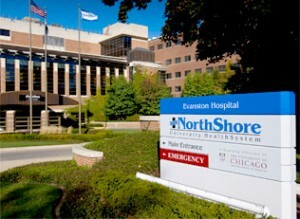 One of our primary affiliates for the education of our residents is the NorthShore University HealthSystem (NUH/Evanston) located in the North Shore suburb of Evanston. This is a major affiliation for both the education of our University of Chicago Pritzker School of Medicine medical students and for University of Chicago house staff, particularly for our emergency medicine residents. This is an especially rewarding affiliation for our Program as NUH/Evanston is one of the oldest emergency medicine residency educational sites and was the first community based Emergency Medicine program in the country. NUH/Evanston is a 500 bed hospital that provides a broad range of inpatient and outpatient services. The institution supports one of the most well regarded emergency medicine simulation centers in the country, NCSI (NorthShore Center for Simulation and Innovation), is a City of Chicago/regional-designated level I trauma center, has a busy ED that sees 42,000 adult and pediatric patients, and is a center of excellence for toxicology, cancer, cardiovascular, GI, obstetrics-gynecology, neurosciences and pediatric care. NUH/Evanston has a long history of education and this remains its primary mission. Whether working alongside an attending one-on-one at the bedside, didactics, journal clubs, or in the Simulation center, the faculty is uniformly devoted to the education of both residents and medical students. For more information on the NorthShore University HealthSystem, please visit the NorthShore website.